Featuring a rust-free aluminum frame, this Biscayne barstool by Panama Jack withstands changing weather conditions and daily wear and tear. This woven barstool features a stackable design for space-saving storage when not in use. Please note: This order will be shipped via Freight carrier and our Oversized Item Delivery/Return policy will apply. Please click here for more information. 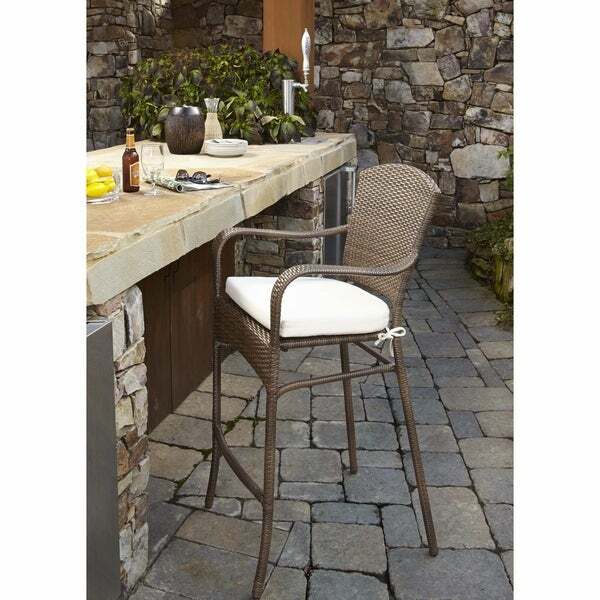 Safavieh Outdoor Living Deltana (Indoor/Outdoor) Bar Stool Beige/Blue - 17" x 20" x 41.3"